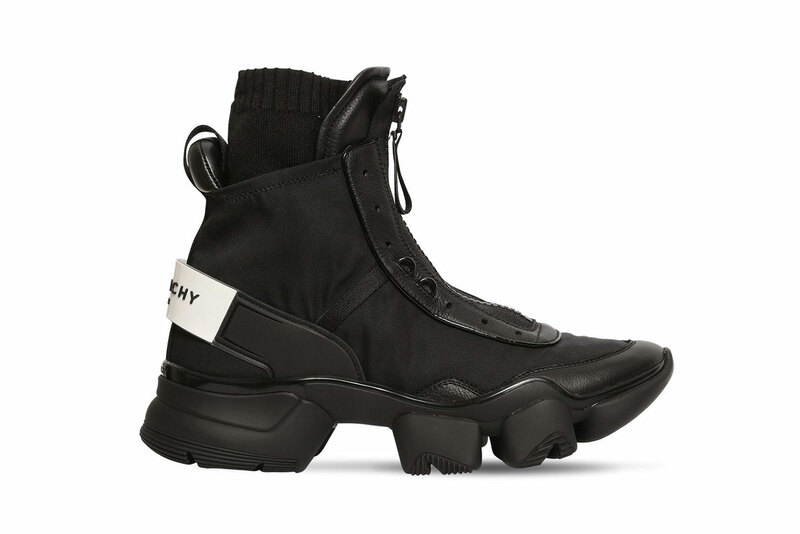 Givenchy gives its JAW sneaker a new look in the form of a high-top. Working off its rugged, chunky-tooth outsole, the heightened silhouette now gives off a more tactical look, reminiscent to military footwear. The updates come in the form of a cotton sock-like collar, and uppers made from polyamide and polyurethane. Other details include a front zip closure and a padded tongue. Branding arrives on the heel support in contrasting white, and on the zipper pull tab. Those interested can find these over at LUISAVIAROMA.com for a price of €1,000 EUR (approximately $1,133 USD). In other footwear news, John Elliott teases a new Nike LeBron Icon collaboration.